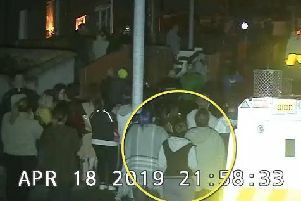 Saoradh, a republican organisation opposed to the Good Friday settlement, has speculated that a bomb attack in Derry on Saturday may have been timed to coincide with the 100th anniversary of the Soloheadbeg ambush on Monday. The party, in a post on its website, also described the suspected car bomb as a mine attack. "Early reports from the city of Derry are indicating that a British institution in the form of Derry City Courthouse has been attacked this evening in what is believed to have been a large mine attack by republican revolutionaries," the group said. "Reports from the city say that a car filled with explosives, planted outside the British court, exploded as Crown Force personnel attended the scene," it added. In its statement the organisation did not condemn the suspected car bomb but instead stated: "This attack comes on the eve of the centenary of the Soloheadbeg ambush where Seán Treacy and his comrades struck a historic blow against the Crown Forces in Tipperary, it seems 100 years later Volunteer Seán Treacy’s comrades continue the unfinished revolution.